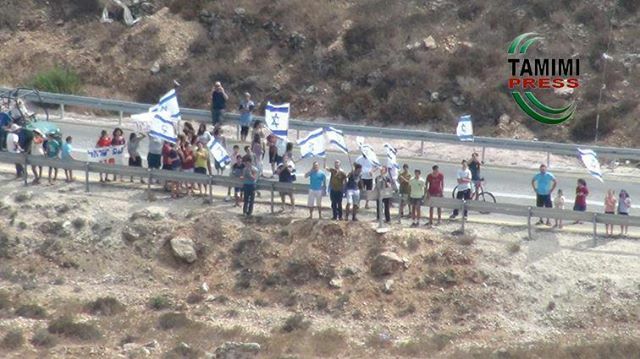 Every Friday since December 2009, the residents of the small Palestinian village of Nabi Saleh have taken to their streets to protest against Israel’s ongoing occupation. 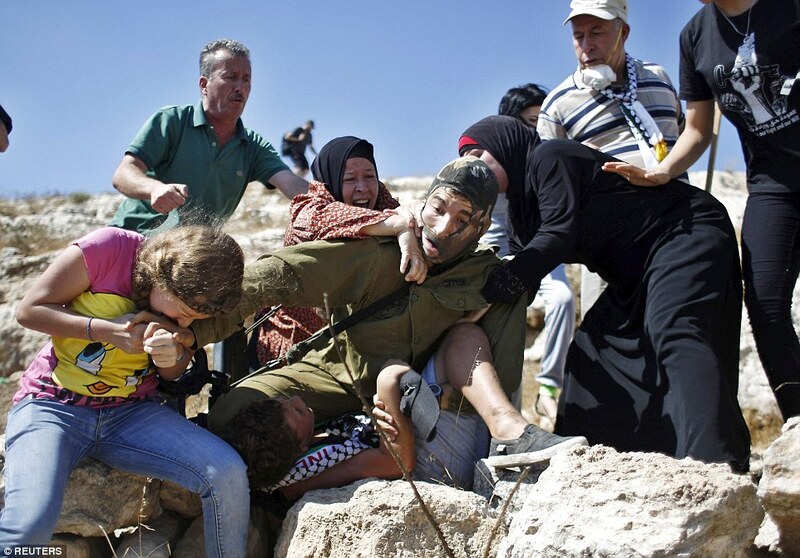 Every Friday, they are met with violent repression from the Israeli military. 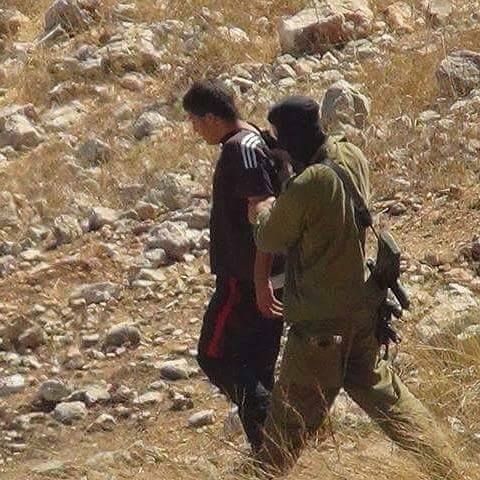 On 28 August, an Israeli soldier once again attempted to arrest a child from the village. This time, however, the soldier’s actions were caught on film. 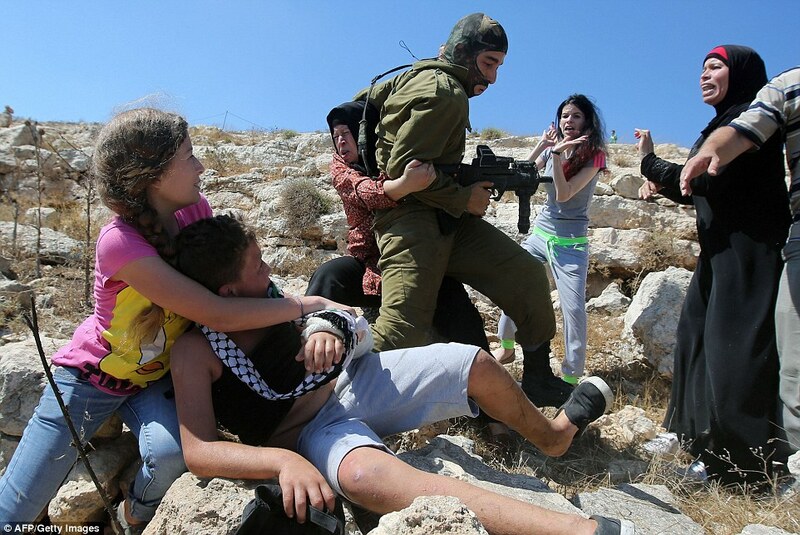 The video, shot by Bilal Tamimi, shows the soldier grabbing 11-year-old Mohammed Tamimi, while the child’s 14-year-old sister Ahed, his mother Nariman and his aunt Nawal struggle with and finally overpower the heavily armed man. Online, Bilal’s video amassed more than 1 million views in less than three days, before it was pulled by YouTube on 1 September – supposedly for violating “community guidelines”. 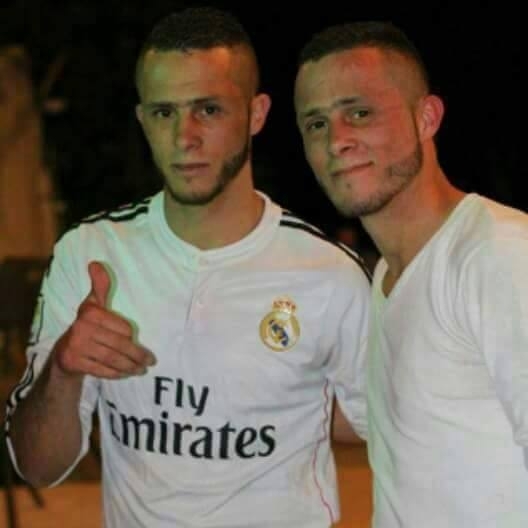 The events caught on camera in Nabi Saleh are not new. 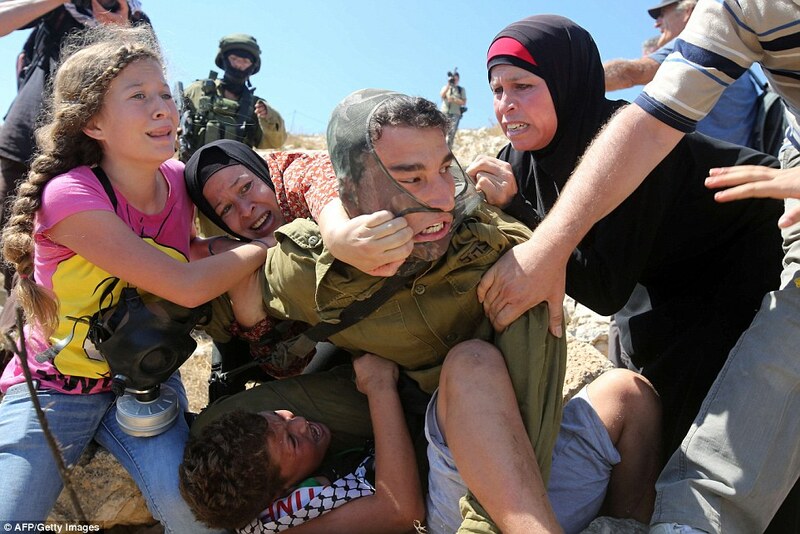 Similar stories of Palestinian women preventing the Israeli military arresting children, youth and men, have been documented by Palestinian, Israeli and international human rights organisations for decades. However, during the first and second intifadas, images of resistance were not easily accessible because there wasn’t widespread access to cameras, and the social media of today were either non-existent or in their infancy. In the last decade, that has changed. Armed with hand-held camcorders, cameras and smart phones, Palestinians are able to document their struggle against Israel’s occupation, as well as the human rights abuses they are subject to, and then distribute the unfiltered images almost immediately. 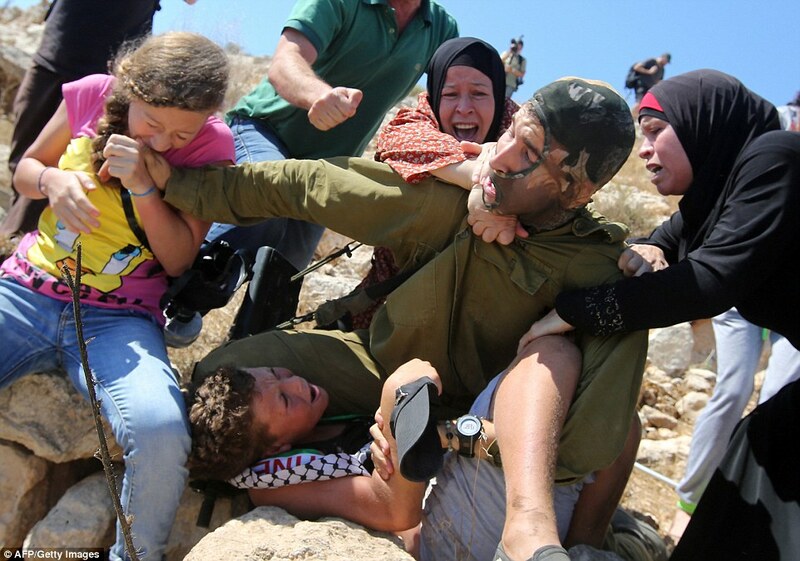 Ahed Tamimi, speaking with Middle East Eye on 30 August, said of the image of her biting the soldier’s hand: “I didn’t know what I was doing; I was just doing anything to get my brother free”. 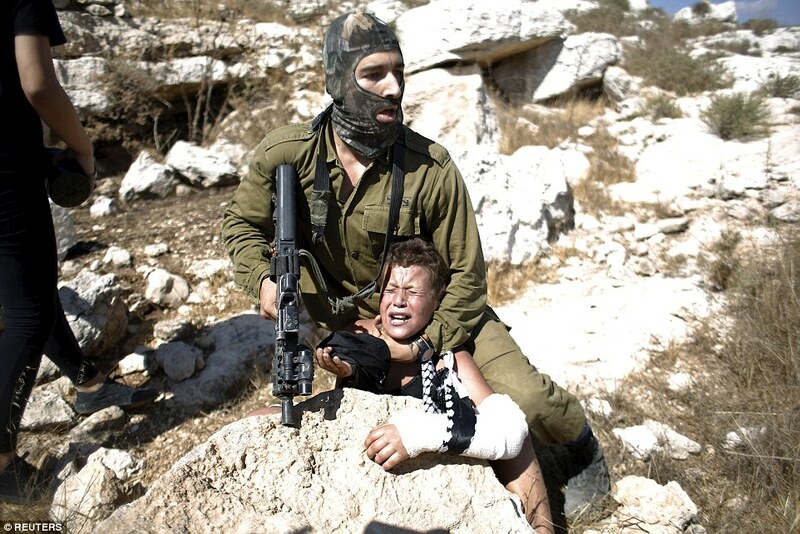 Nariman said similarly: “I wasn’t thinking about anything but getting that soldier off of my son, no matter what”. 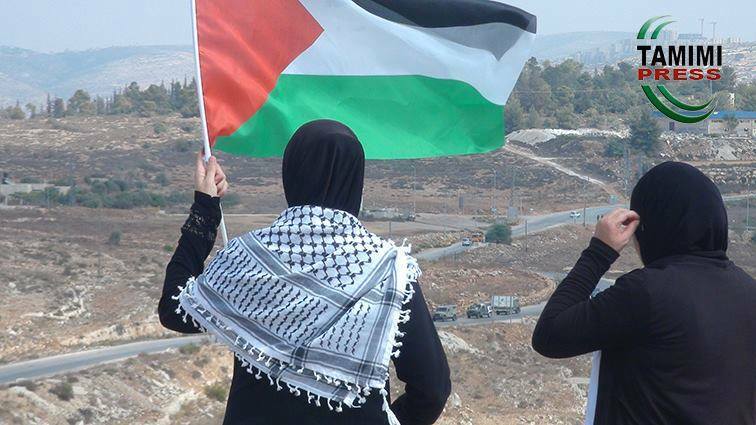 Ahed and Nariman have been at the forefront of village demonstrations since they started. 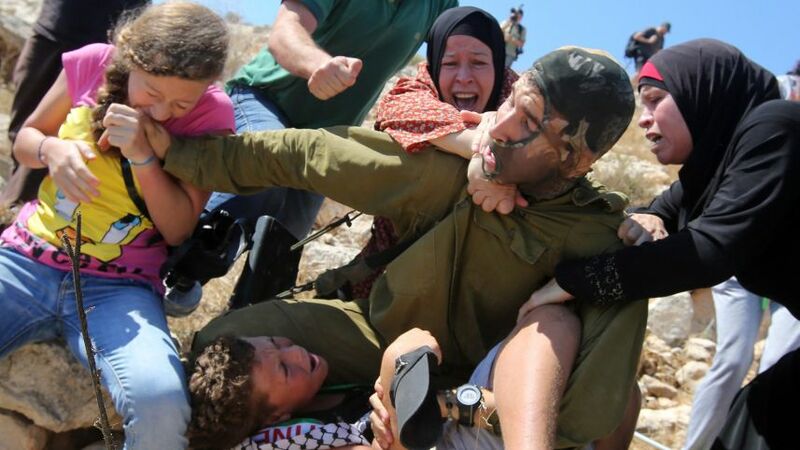 Along with Ahed’s father, Bassem Tamimi, and other relatives in the village, both have played a leading role in the non-violent popular struggle. In 2011, Bassem was declared an Amnesty International prisoner of conscience after he was jailed, along with another village activist, Naji Tamimi, for playing a leading role in the weekly protests. Nariman has also been arrested twice for her activism. Increasing documentation of resistance by Palestinians engaged in struggle against Israel’s 48-year military occupation has resulted in backlash not only from Israel’s occupation forces and politicians but also from supporters of the Zionist state. 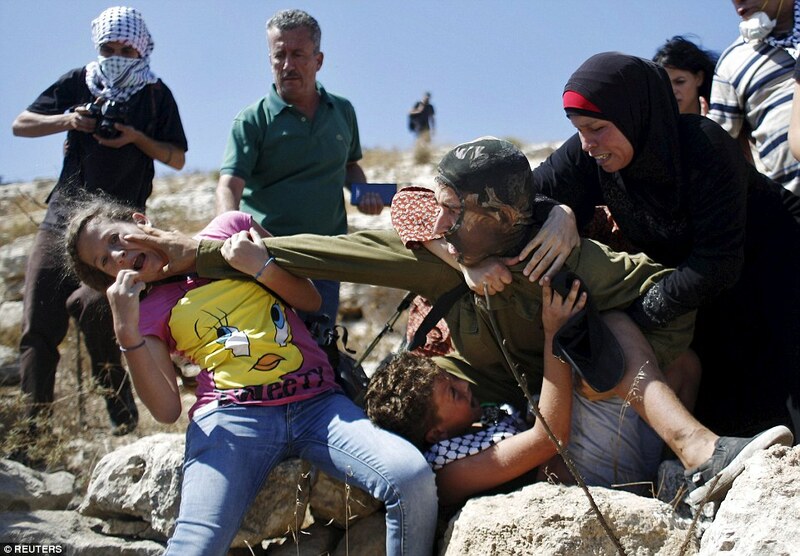 Following the incident, the Israeli military threatened to have the Tamimi women arrested. 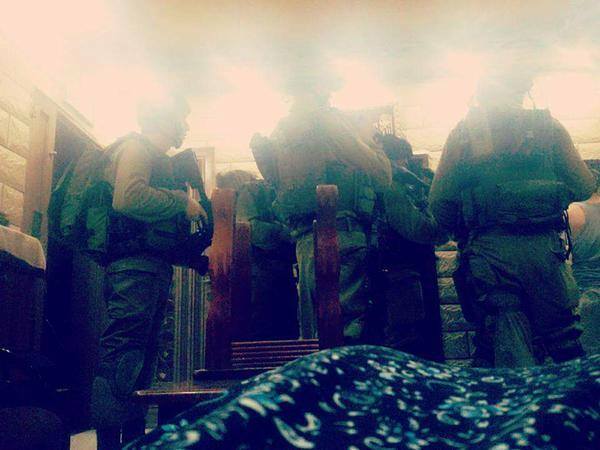 It has stepped up harassment in the village, carrying out night raids and arresting three young men on 8 September. 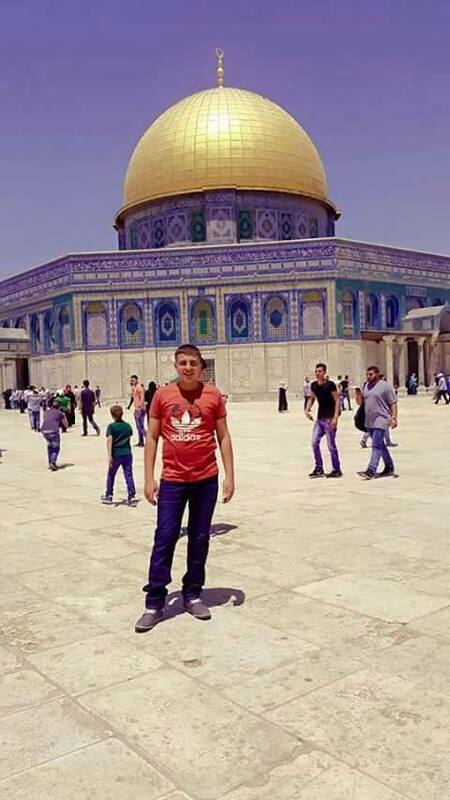 Israeli politicians, furious at the humiliation of one of their soldiers, have ordered a review of live-fire regulations, with an eye to giving the military more room to kill Palestinian youth. 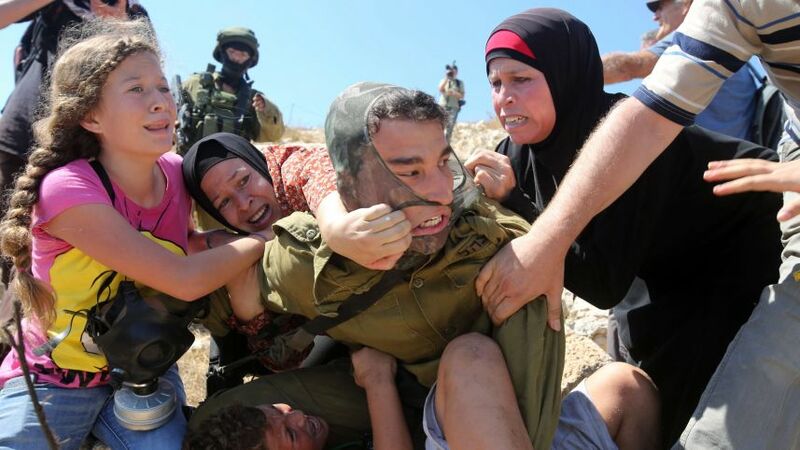 Zionist apologists have dubbed the video of the women as “Pallywood” – a virulent racist slur used within Zionist circles to discredit any Palestinian documentation of Israel’s human rights abuses. These reactions to the video demonstrate an Israeli sense of entitlement as occupier and coloniser of Palestinian land, and ingrained Zionist racism against Palestinians. 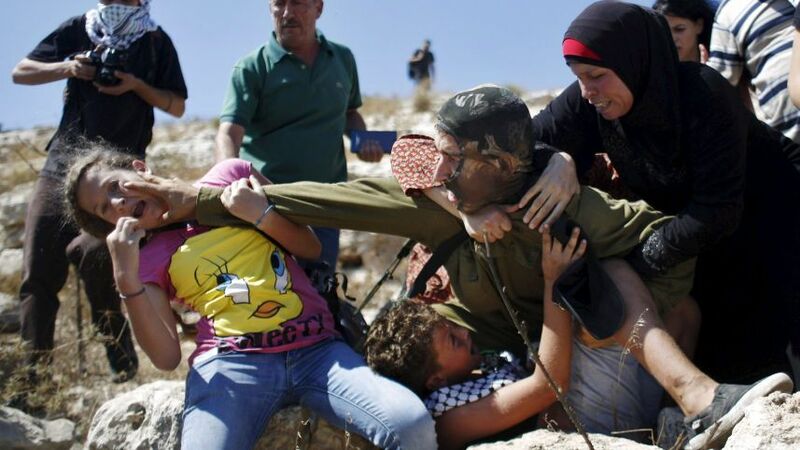 Ahed Tamimi and her family have indeed become some of the most visible faces of resistance in Palestine, but not because what they are doing is staged. 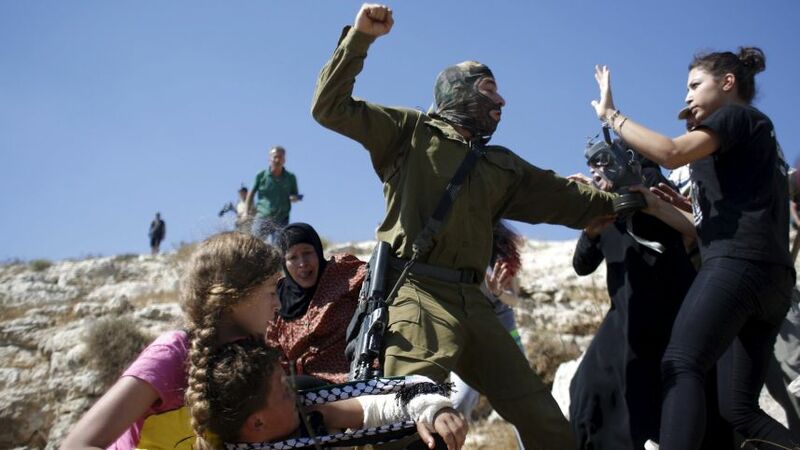 It is because the Tamimis and their extended kin refuse to be cowed by Israel’s occupation. Speaking with Red Flag, Bassem Tamimi explained that his family would continue to protest and document their struggle: “The media is very important. The pictures say a lot. 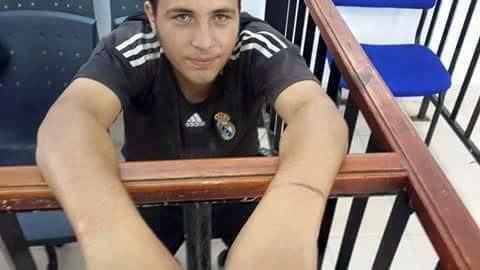 It gives us the opportunity to raise our voices to the free people all over the world and show the reality of the Palestinian people”.